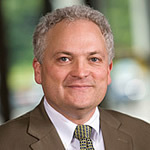 Eric Gouvin is Dean and Professor of Law at the Western New England University School of Law in Springfield, Massachusetts. Professor Gouvin teaches in the areas of corporate and commercial law. He has written on many different topics, often focusing on the intersection of corporate law and banking law, many times with an international or comparative law perspective. He is a co-author of the treatise Blumberg on Corporate Groups with Professors Phillip Blumberg and Kurt Strasser at the University of Connecticut School of Law and Professor Nicholas Georgakopolous at Indiana University (Indianapolis) School of Law. Professor Gouvin received his B.A. from Cornell University and his J.D. and LL.M. degrees from Boston University School of Law. He also holds an MPA from the Kennedy School of Government at Harvard. After graduation from law school Professor Gouvin practiced law for five years with a firm specializing in corporate and commercial matters. He has been a member of the Western New England law faculty since 1991. He is actively involved in the ABA and the AALS. He has been a member of the CALI Board of Editors and is currently a member of the Board of Editors of the Kauffman Foundation's eLaw website..